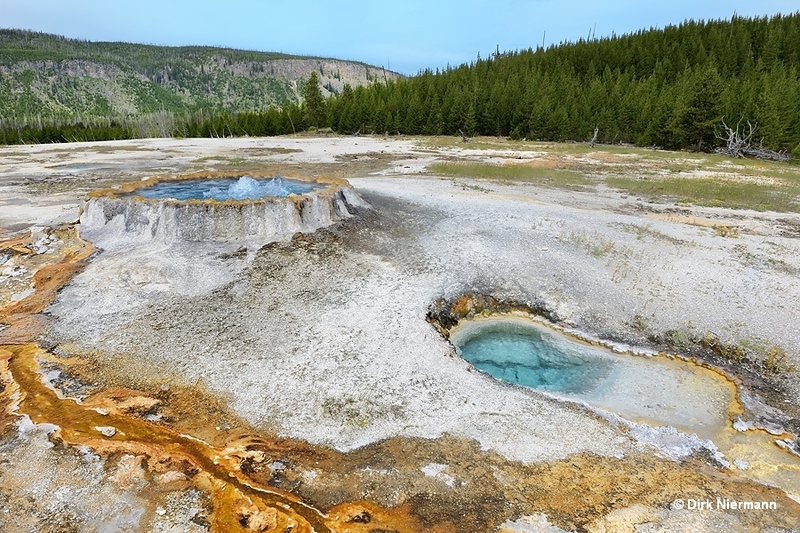 Punch Bowl Spring Group lines the trail from Daisy Group to Black Sand Basin. It comprises only a few thermal features. 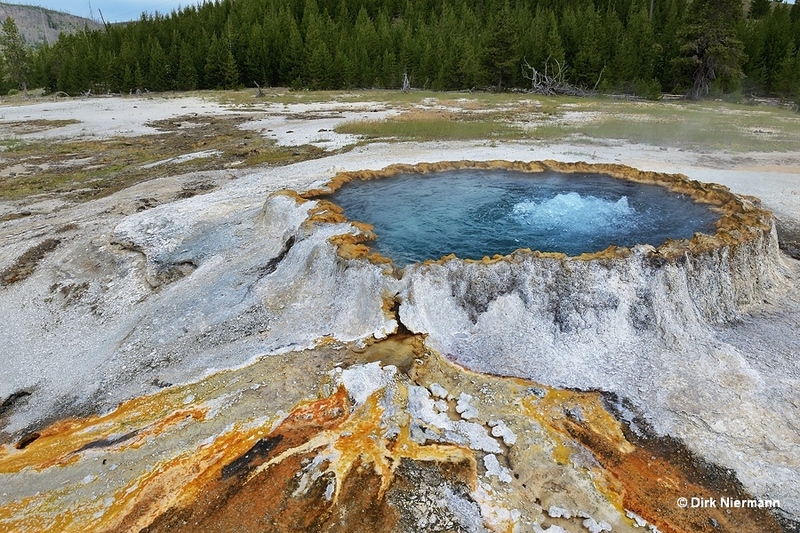 Punch Bowl Spring itself is a constantly boiling spring and it's not sure, if it was a geyser in the past. 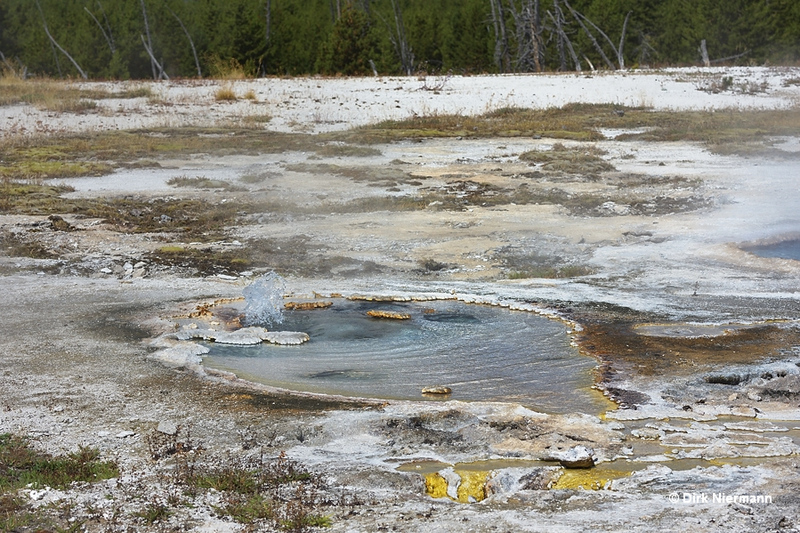 Immediately right of Punch Bowl Spring another hot spring appears, which has been found to be independent from it. 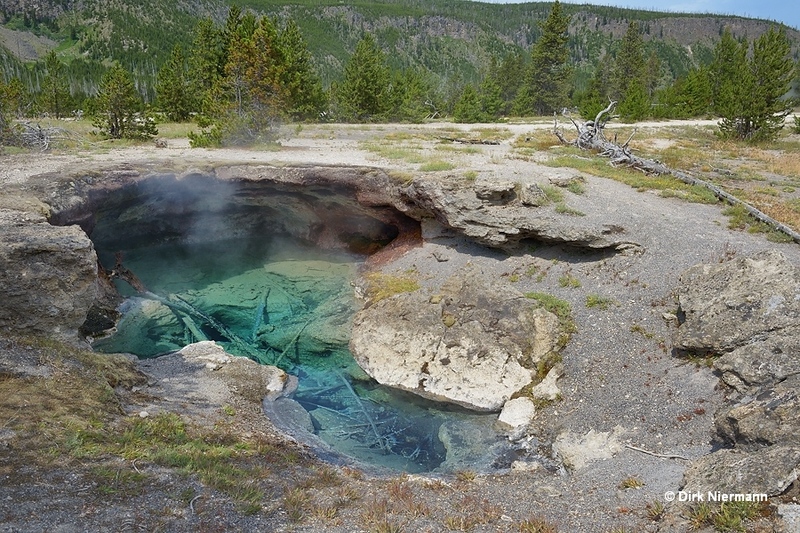 On the other side of Punch Bowl Spring two pools are located, showing weak geyser activity from time to time. The one in the foreground of the picture is listed as UNNG-PBG-1 in T. Scott Bryan's book. 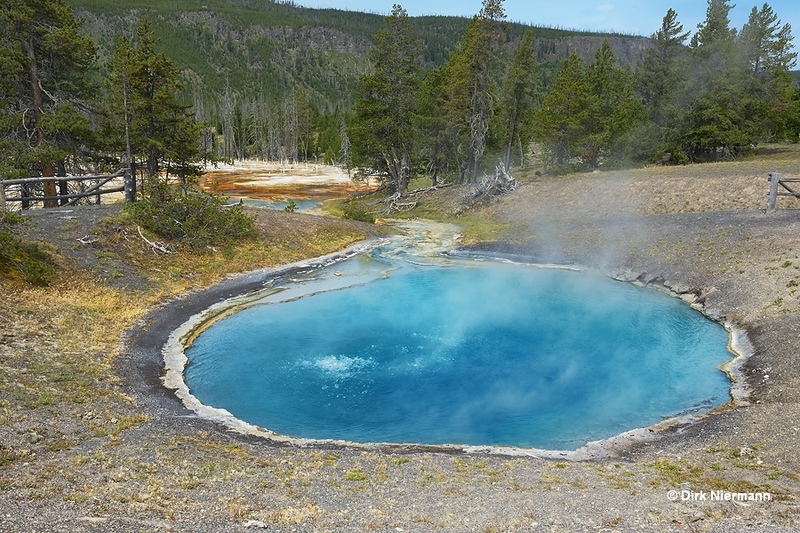 Black Sand Pool, a short distance to the west, was called Black Sand Basin in the 1870s, but got renamed when its original name came into general use for todays Black Sand Basin. On location the black obsidian sand is very noticeable and the reason for the name becomes obvious. Black Sand Pool is capable of powerful eruptions, even if they were very rarely observed. Nevertheless, waiting for some time next to the spring may result in a strange experience. At quite short intervals a clearly audible, dull thumping occurs, accompanied by perceptible vibrations of the ground, which may give rise to the question if the crust underneath your feet is a safe base. It feels like the slow heart beat of an awakening giant immediately below surface. A lot of further free associations come to mind, from ranger Emily B. Martin's oncoming Tyrannosaurus rex through to J.R.R. Tolkien's drums in the deep of the Mines of Moria. 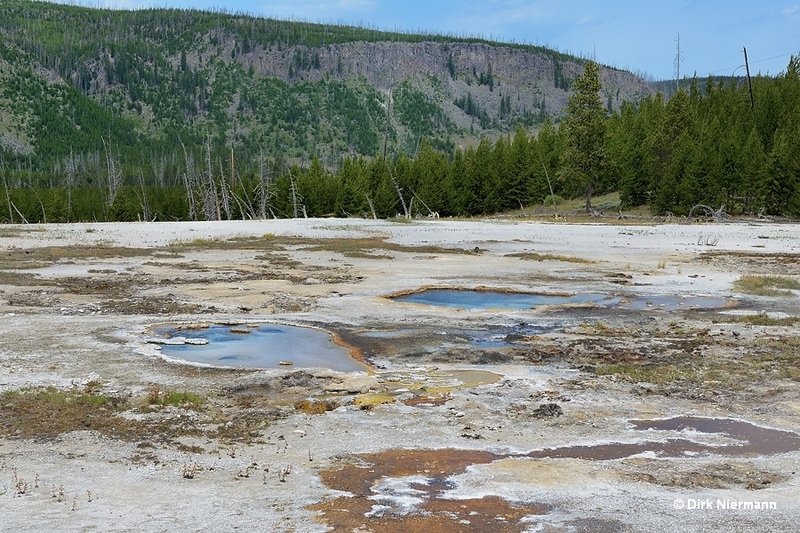 Those beats are probably caused by collapsing steam bubbles in the spring's subterranean plumbing system, and shortly thereafter numerous steam bubbles bulge the surface of Black Sand Pool, as shown on the next picture.